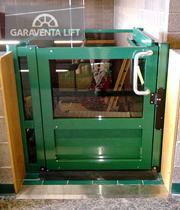 Summary: This Genesis Enclosure provides wheelchair access to the mezzanine at this popular recreation center. The owners chose an optional R.A.L. 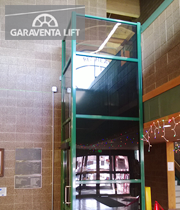 color to match the trim used throughout the building. The color is nicely complimented by the use of bronze tinted plexiglas for the enclosure panels.